Rivaroxaban (Xarelto) has recently been approved by the FDA and Health Canada for the treatment of Deep Vein Thrombosis (DVT) and according to what I have read it seems to be superior to Warfarin in clot prevention. As and example, the first article below mentions how the drug outperformed Warfarin in preventing strokes. I learned about Rivaroxaban at the appointment I had with my haematologist at the end of June where he prescribed this drug to me in the place of the Fragmin I currently take to combat clots. Needless to say I was very happy to learn that instead of injecting Fragmin like I have done for the past 6 years twice per day, I could now take something orally without the nasty side effects (bruising, bleeding, and scare tissue) of injecting. Unfortunately the drug has only been approved for short term usage for potential thrombophilia for those who have hip or knee surgery. In my case and possibly that of others I am trying to get the ruling changed (at the very least on a provincial level) for people with rare clotting conditions who could benefit from this drug for long term clottings disorders such as Portal Hypertension. 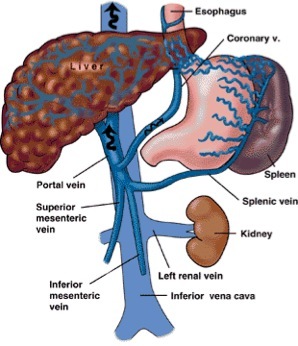 This entry was posted in portal hypertension, portal vein thrombosis and tagged anti coagulants on August 31, 2011 by Clint.